Tia has recorded and performed with a variety of bands and shows throughout her career. She has shared the same stage with international artists such as Michael Narada Walden, Nona Hendricks, Teddy Riley, CeeCee Peniston and Roy Ayers to name a few. 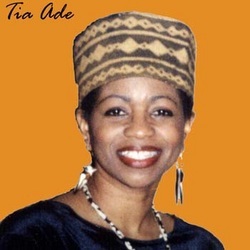 In addition to her work with In Process…Tia performs on numerous radio and television productions. She also performs live with a host of backing bands throughout the east coast including, Mood Experience, Funk Face Band and her own brain child, Rapture™. Her warmth of expression and voice of elegance is well received by her audiences. Tia is a natural artist with a superb delivery that leaves a dynamic and lasting impression on those whose lives she touches through song. Each time Tia walks onto a stage and lifts her voice to the heavens and sings, she reinvents herself as a profound singer and performer who humbly shares that experience with her audience.